Bags are packed… it’s insane the amount of random electronics I carry with me on a trip. But who doesn’t want to do some prototyping on the plane? In case you haven’t heard, the Hackaday Crew is headed to Munich. The coming week is Electronica. We’ll be prowling “the world’s leading trade show for electronic components” looking for the jewels of interest to the hacking community. Watch our Twitter feed for updates on those adventures. But of course, Thursday the 13th is all about Hackaday Munich. The place will be packed! During the afternoon we feature hands-on hacking of embedded systems. The hardware we’re supplying is already spoken for. But you should bring along your own dev boards to hack on, or just come to watch the fun. 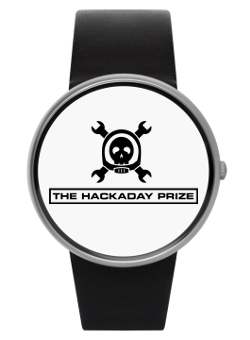 Get a ticket to The Hackaday Prize party. This includes a talk by [Sprite_TM], the announcement of the Grand Prize winner for the 2014 Hackaday Prize, followed by a party with music by [DJ Muallen]. Nobody should miss this event so please help get the word out. See you there! Plans for Hackaday Munich are coming along quite nicely. Today we’re happy to announce that [Sprite_TM] will be speaking at the event. Click that link above and make sure you get your tickets for November 13th. You can do some hands-on hacking at the Embedded Hardware Workshop, hear the talks, find out which of the five finalists will be the grand prize winner, and enjoy The Hackaday Prize Party along with the Hackaday crew. You may also know [Sprite_TM] as [Jeroen Domburg], one of the judges for The Hackaday Prize. That’s him on the left in the image above (we love a good avatar!). If you follow Hackaday, you should already be thrilled about meeting him and hearing his talk. The last talk we remember reading about was an epic hard drive controller hack. Just last month we saw a well-executed clock radio overhaul from him. While we’re on the topic, his micro-bots were a spectacular project. [Sprite_TM] has also offered to help out with the reverse engineering workshop. We’re hard at work making sure everything is in place for those afternoon hacking events. As we solidify details we’ll be adding workshop pages (and emailing those already registered for Hackaday Munich) to let everyone know what to expect. We can report that we have shipped [Sprite_TM] a Bus Pirate so that he can be familiar with it. This will be the primary tool provided for this particular workshop. The entire Hackaday crew is looking forward to it. See you there! Who cares about Open Design and building the next generation of Connected Devices? It turns out a lot of people do! Whether you’re just finding out now or are a procrastination ninja, it is not too late to give yourself a shot at winning that trip to space. The Hackaday Prize is really just getting started. At 11:50pm Wednesday night ( that’s PDT on 8/20/14, or 06:50 GMT on Aug 21) we close the entry window and the build phases will begin. That’s right, you don’t actually need to have any hardware done, you only need to document your idea and how you’re going to get there. Close your eyes and assemble your vision of a connected device. Now open them and start typing. You need to share your overall idea and how you’re going to get there. Draw out a basic system design, and film a video of 2 minutes or less that explains it all. Think this sounds like a lot? You’re wrong… I did it in only a few minutes. When will you have such a great opportunity to win something awesome and secure the adoration of the hacking masses? Enter now and have no regrets!